SEOUL (Reuters) - South Korea's central bank chief said on Thursday the U.S. Federal Reserve's decision to abandon projections for any interest rate hikes this year eased uncertainties for Korean policymakers. 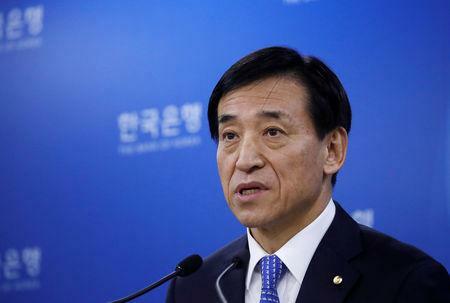 Bank of Korea (BOK) Governor Lee Ju-yeol also said it is still too early to discuss cutting interest rates in Asia's fourth largest economy, due to uncertainties stemming from a slowing Chinese economy and Brexit. "It's not right time to discuss easing of policy rates yet," Lee told reporters, adding that the BOK's current policy is accommodative enough to support South Korea's economic growth.